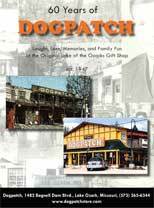 For generations Dogpatch has aimed to be a bright spot on your family vacation. Stop in and explore the ever-changing selection of fun treasures to remember your trip, and enjoy a taste of Ozarks history while you’re at it. We're proud to be part of a store with more than 65 years of history.